Join us at the FCC! Support the campers? Tell the FCC to meet with them! 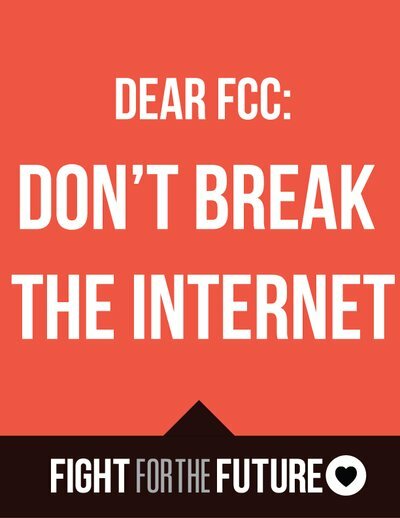 "Dear FCC Commissioners: I support full net neutrality for a free and open Internet. Please meet with and listen to the concerns of open Internet advocates gathering at the FCC building in Washington, DC." If you can get just one more person to join us, it could save net neutrality. Thanks for taking action. Now tell everyone you know. 1. Sign the petition to the FCC! In the last couple of weeks, 200,000 people have signed our petition to the FCC! That's amazing - it shows just how wrong the FCC is with their new proposal. Help us reach 250,000 signatures sent to the FCC. We only have until May 15 to send the message to the FCC, so it's important that our petition is as big as possible. Pick up the phone and call Tom Wheeler to demand REAL net neutrality - making the phone call can be one of the most powerful tactics in to win net neutrality. 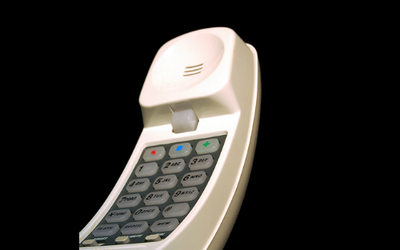 If you click the button below, you'll be provided with talking point to help you make this phone call. With just one short call, you will be heard by the FCC and you'll have made a powerful statement to save the Internet! 3. Share the campout with your friends! 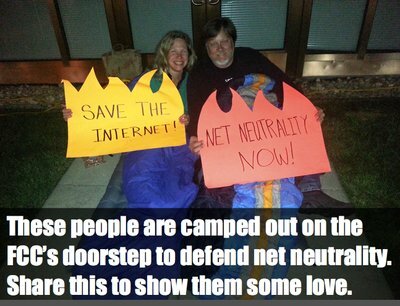 We need your help spreading the word about the Campout to Save the Internet! Spread the word to your friends and invite them to join the Campout! If you have friends who live in Washington, DC or the nearby area, invite them to hang out with us at the FCC! Having one more person at the Campout will bring us so much closer to victory. 4. Donate to provide materials at the campout! 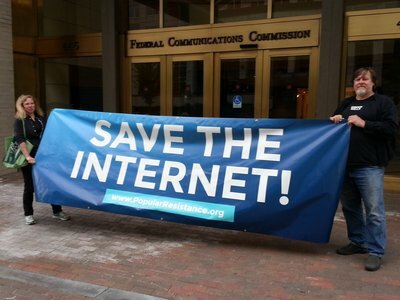 The FCC is voting to kill net neutrality and the open Internet - there are huge stakes here! 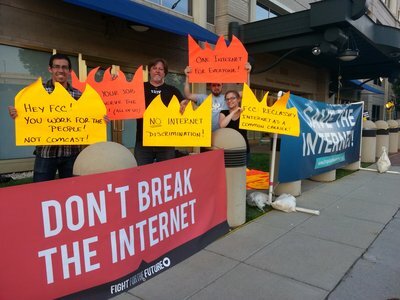 Our action at the FCC is getting their attention and it's getting bigger than they ever expected! But to pull off something this big takes money - and the folks we're counting on the come camp out with us can't just drop everything financially. With less than a few days away, there isn't much time left to save the Internet. Can you make a donation today? Yes, I'll make a donation! We need your help spreading the word. Here are some sample promotional materials you can use to invite your friends to the campout! FCC: We won't leave until the Internet is safe! FCC Chairman Tom Wheeler is already struggling to defend his new rules proposal to allow fast lane net discrimination by his corporate allies at Comcast, Verizon and AT&T - but we need to do something big to get the other FCC commissioners on our side. 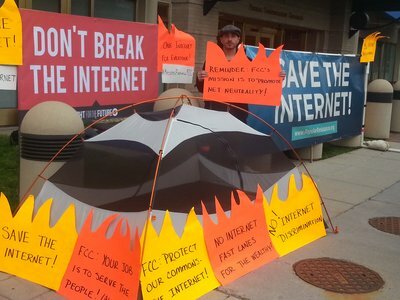 Courageous activists in Washington, DC set up camp outside the FCC building to protest the new net discrimination rules - they’ll be there until the FCC drops the net discrimination rules. Not only are we protesting in DC, but we’re also helping organize similar encampments at other FCC branches in 27 other cities. This is getting bigger than anything the FCC expected. But in order for us to be successful, we need activists to come out and be a part of the action in DC. Here’s the best part: it’s already working. Before a single protester had even shown up at the FCC’s doorstep, we got a call from Chairman Tom Wheeler’s office asking what our message was, and saying they may be interested in meeting with us. That’s particularly interesting, since when we helped deliver more than 1 million net neutrality signatures to the FCC last month, they wouldn't meet with us. Now we know for sure we have the FCC’s attention, since they’ll have to walk past our encampment every day when they come to work. We've heard from our contacts in DC that Tom Wheeler was not expecting this kind of massive backlash to his net neutrality announcement last week. AT&T, Verizon, and Comcast have dozens of paid lobbyists surrounding the FCC daily, this is our way of fighting back. Victories - Already on Day One! Before the first day of the camp out, we've already seen two significant victories! Two FCC Commissioners came forward to issue statements FCC Commissioner Clyburn issued a statement questioning Chairman Tom Wheeler's new rule and supporting TRUE open internet policy. In a statement at a meeting of the Chief Officers of State Libraries, Commissioner Jessica Rosenworcel called on Chairman Wheeler and her fellow commissioners to "delay our consideration of his rules by a least a month. I believe that rushing headlong into a rulemaking next week fails to respect the public response to his proposal." 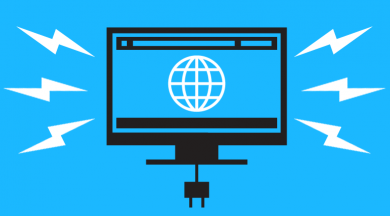 In a blog post at the FCC website, Commissioner Mignon Clyburn wrote that "tens of thousands of consumers, companies, entrepreneurs, investors, schools, educators, healthcare providers and others have reached out to ask me to keep the Internet free and open." * For ongoing, independent coverage, check DC Media Group's page. * Washington Post. 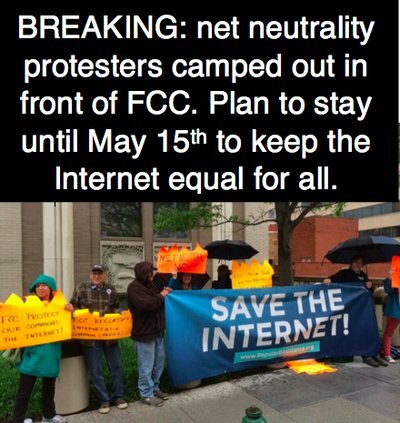 "Net neutrality protesters are literally camped outside the FCC. And the agency is hearing them out." Read more. The FCC is Federal Communications Commission. They are the agency that governs and regulates the telecommunications industry in the United States (this includes the Internet). 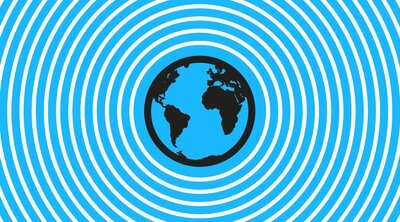 Net neutrality is the idea that the Internet should be accessible to anyone with no discrimination, no blocking, no censorship, and no "slow lanes". This principle has been a widely considered around the world as a standard for access to the Internet. Also called the "first amendment of the Internet", net neutrality is a defining free speech issue with the Internet becoming an essential part of society. What is the FCC proposing to do to the Internet? Why is it important? The FCC is proposing new Internet policies that would allow Internet providers like Comcast, AT&T, and Verizon, charge other websites, companies and other online services an extra fee - or else Internet users will have their access to those websites slowed down. This policy would make the Internet a "pay-to-play" service - basically if you don't have the extra money to pay Comcast or Verizon, your internet will be slowed down and put in the "slow lane". The Internet is a space where users freely share information and communicate. The premise that Internet access should be equal for all has been a globally adopted principle of the Internet called net neutrality. If we lose the net neutrality and the "openness" of the Internet, we'll lose our right to free speech and expression on the Internet. Why are you setting up camp outside the FCC/"occupying" the FCC? Because the open Internet and net neutrality is at stake! We're taking action to stop the FCC from going through with their proposal to create "slow lanes" for the everyday Internet users for extra profit for Internet providers like Comcast, Verizon & AT&T. 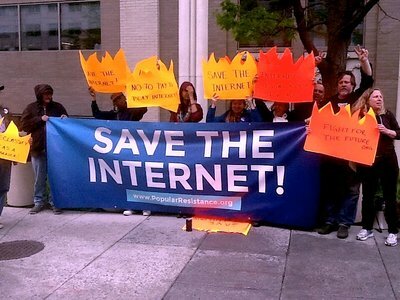 There are a number of ways you can help save the Internet! - If you can make it to DC, come join us at the FCC! We need as many people here as possible to demand the FCC to drop their proposal and protect net neutrality. If we have enough people out here - we can win this fight. If you need help with getting to DC, we can help, send us a message and we'll get you to the FCC! - If you can't make it to DC, it's okay - you can still help! We have a list of things you can do to put pressure on the FCC, even if you're not physically here. We're using the Internet to fight back - click here to learn how. Here's a general list of some thing you might want to have with you. - Food or water could be helpful to bring! But we'll have food provided on site. Megabus is a cheap option to travel across long distances from places like New York or Massachusetts within a day. Tickets are around $16 dollars and will take you to Union Station in DC. The best way to get to the FCC from Union Station is to take the Metro. At the Union Station Metro Station, take the Red line to Shady Grove, then you will need to transfer at the Metro Center stop to the Blue or Orange line. Stop at the Smithsonian station and use the Independence Avenue exit. At the top of the escalator you are on the corner of Independence Avenue and 12th Street. Turn right on 12th, and walk approximately 2 ½ blocks to the entrance to the Portals II building. Amtrak is also another option that you can look into if you are traveling from far away distances from cities like New York or Massachusetts within the day. Amtrak will also take you to Union Station in DC. The best way to get to the FCC from Union Station is to take the Metro. At the Union Station Metro Station, take the Red line to Shady Grove, then you will need to transfer at the Metro Center stop to the Blue or Orange line. Stop at the Smithsonian station and use the Independence Avenue exit. At the top of the escalator you are on the corner of Independence Avenue and 12th Street. Turn right on 12th, and walk approximately 2 ½ blocks to the entrance to the Portals II building. Greyhound is another alternative for long distance travel. Like the other options above, Greyhound will take you to Union Station. The best way to get to the FCC from Union Station is to take the Metro. At the Union Station Metro Station, take the Red line to Shady Grove, then you will need to transfer at the Metro Center stop to the Blue or Orange line. Stop at the Smithsonian station and use the Independence Avenue exit. At the top of the escalator you are on the corner of Independence Avenue and 12th Street. Turn right on 12th, and walk approximately 2 ½ blocks to the entrance to the Portals II building. Take either the Orange or Blue line to L'Enfant Plaza or Smithsonian station stops. You can also reach L'Enfant Plaza via the Green or Yellow lines. Portals II is equidistant from these stations. From the Smithsonian station, use the Independence Avenue exit. At the top of the escalator you are on the corner of Independence Avenue and 12th Street. Turn right on 12th, and walk approximately 2 ½ blocks to the entrance to the Portals II building.